The judgment of Mr Justice Goss in RE -v- Calderdale & Huddersfield Foundation Trust  EWHC 824 (QB) shows some concern about the nature of the evidence adduced by the defendant. Documents had been (inadvertently) destroyed and definitely altered. Witnesses for the defendant gave (vastly) varying accounts. Subsequently their evidence was not accepted and the claimants succeeded. The claimants brought actions arising from the negligence of the defendant in relation to the birth of the first claimant. The facts were disputed. There have been considerable problems with the Defendant’s disclosure in these proceedings. It is not necessary to identify the detail of what occurred and why. On any view, the Defendant, in breach of its duty under CPR Part 31 PDB §7, destroyed the medical records after the claim began and only copies are now available, which are unsatisfactory in a number of respects. The Defendant “digitised” the originals on 29thSeptember 2015 then destroyed them on 18th January 2016. The Defendant’s Legal Services Manager, Ms Natalie Jooty, provided a witness statement dated 9th March 2017 in relation to the disclosure issues and was the first witness to give evidence. She was clearly confused as to when she signed the Statement of Truth on the Defendant’s List of Documents; eventually she accepted it was correctly dated 6th February 2015. Consequently, her statement to the effect that the documents had already been digitised was incorrect. She explained that her subsequent informal enquiries revealed that a named individual who was then the Legal Services Manager bore responsibility for not ensuring the records were returned as they should have been after being digitised. However, I am satisfied that the records were destroyed by reason of negligent failings by the Defendant either by individual failures and/or in their system or systems and not as a result of a deliberate attempt to destroy evidence in this claim. Nevertheless, the position now is that the integrity of the records cannot be guaranteed. The photocopies, some of which are in colour and some in monochrome, are not of good quality for forensic purposes and there are puzzling differences between some of the copies of the original documents and the digitised version. What is of particular concern is the inability to examine entries on the contemporaneous medical records, scrutinise entries that have clearly been over-written to determine what was originally recorded and compare the pens and inks used at various important points in the records. Medical records are neither self-proving nor automatically admissible: see Buxton LJ’s remarks in Denton Hall Legal Services v. Fifield  Lloyd’s Rep Med 251. 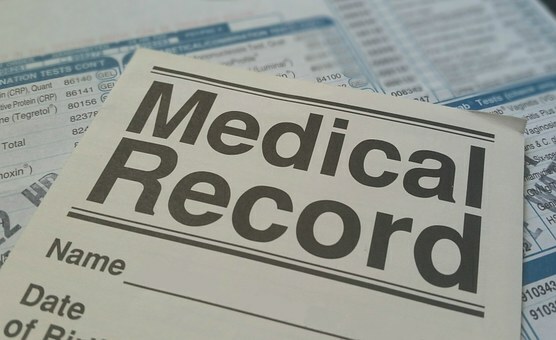 The Claimants expressly put the Defendant on notice that they must prove any medical records on which they relied. In fact, the only witnesses providing evidence of the truth of their respective contributions to the medical records are Midwives Garvey and Taylor and Dr Emovon. The Claimants contend that where there are ambiguities or uncertainties on the face of the documents, the court ought to resolve them in the Claimants’ favour. Given that the Defendant failed in their duty to maintain the records, where, by reason of the quality of the relevant record now available compared to what would have been expected to have been clearer on the originals, I consider that it is appropriate to proceed on the rebuttable assumption that my reading of the entries should be the most favourable to the Claimants that is reasonable on the face of the available documents. Mr Whitting QC, on behalf of the Defendant, has not contended otherwise. The accounts of the Second, Third and Fourth Claimants of the hour prior to delivery are markedly different from that of Midwife Garvey. The Second Claimant complains about her treatment; her requests for pain relief were ignored and she was generally neglected during first and second stage labour. In addition to the pain of labour, she was also suffering from SPD. I do not doubt that the pain, stress and concerns about the size of the baby heightened her perceptions of difficulties and influenced her view of the level of care but I do not accept the Defendant’s contention that she was wrongly and unfairly painting the midwives both antenatally and at the birth in a bad light. I reject the evidence of Midwife Taylor that when she entered the room at 16.45 the Second Claimant “appeared extremely quiet and calm” (Witness Statement signed on 13th July 2016). The original draft stated that she appeared “distraught”. She could not explain how that came to be written. They are ‘polar opposites’. Not only was the Second Claimant in extreme discomfort, I find that she was very distressed by reason of her circumstances and by 16.45 the pain, difficulties and anxiety were acute. The timings are controversial and crucial. There is no doubt that the various medical notes contain unexplained and contradictory entries and there are other documents attributable to witnesses with material that contradicts some of those entries. The Defendant invites me to conclude that there is no reason to doubt that the timed entries in the intrapartum notes between 15.30 and 16.50 were contemporaneous in the manner described by Midwife Garvey referred to in the foregoing paragraph and accurate in their descriptions of the events at the times identified. On behalf of the Claimants, it is submitted that they were not in the latter stages, and certainly not from 16.15. It is neither necessary nor helpful to review all the entries over the relevant period. I have considered all the material with care and do not consider the Defendant’s “broad brush” approach to be appropriate or helpful, not least because there have clearly been alterations as to timings and events and unexplained inconsistencies. I am also mindful of the circumstances that obtained in the 20 or so minutes when Midwife Garvey was on her own prior to the help being summoned at 16.45.
a. On the labour notes in the section ‘Second Stage Complications’ after the word ‘Delay in delivery of head in 2nd stage’ she added the words “shoulder dystocia”. She could not assist as to when or why she added those words. “At 16.53 the anterior shoulder delivered and then the posterior, easily with strong downward traction. Julie (HCA) shouted that the doctors were here. I said that I just needed the Paediatrician now as I thought the baby was coming as the shoulders were delivering. She was unable to explain how that account came to be written. She accepted she must have read the typed document before signing it. According to Dr Emovon and her later account she did not assist him by pulling. “From the investigation of this case and looking at the signs documented there was dystocia with significant delay from partial delivery of the head to the rest of the body. There is limited information with regards to “body dystocia”, it has been reported in situations where the baby has an abdominal tumour/ascites. The midwife describes using strong traction to deliver the shoulders. … Shoulder dystocia is an emergency situation necessitating immediate effective intervention by the attending midwife. Witness evidence, recollection, reconstruction & clinical negligence. Witness credibility, Bolam and clinical negligence: a High Court decision.